The PIR40 is an energy saving switch. The wide detection field is made up of up and down, left and right service field. It works by receiving human motion infrared rays. When someone enters the detection field it can operate the load at once. 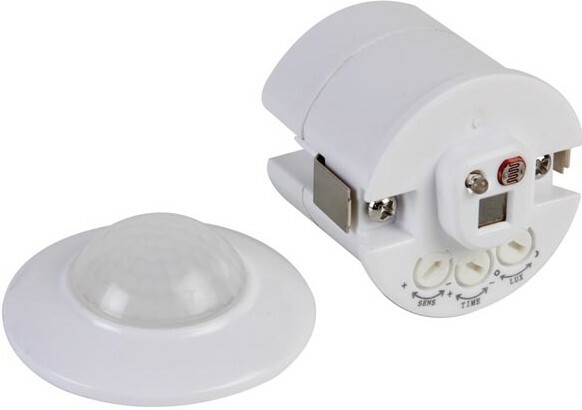 With automatic day/night function, adjustable light control time (8s - 6min) and sensitivity it can be used with various types of lamps and lanterns. For indoor use only and designed for installation into existing equipment.